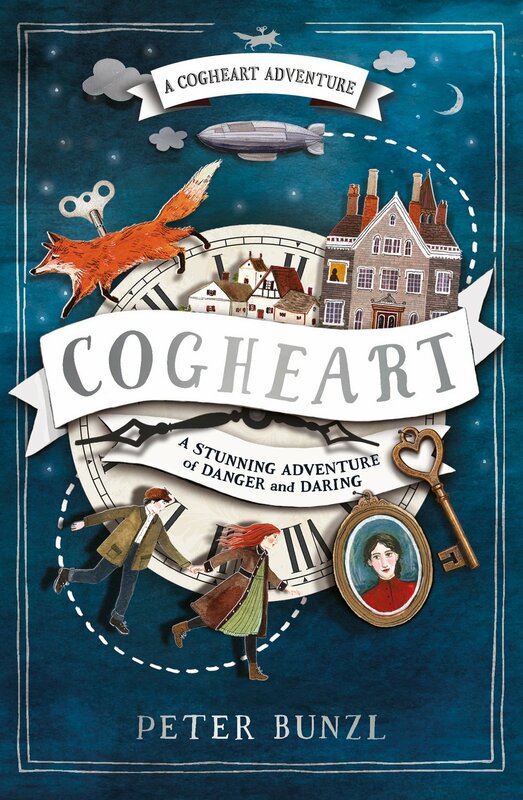 Peter explains how real-life Victorians, Airships and Automata (clockwork robots) inspired the 'Cogheart Adventure' series. He talks about his love of fantastical film robots and explains how he combined all these different elements to create an exciting, suspense filled story! Peter Bunzl is an author, filmmaker and animator, his debut novel Cogheart was nominated for the Waterstones Children's Book Prize and the Branford Boase Award in 2017 and the Carnegie medal in 2018. It won the Dudley Teen Book Award, 2017 and Sefton Super Reads, 2017 and has been a favourite with year 5 and 6 teachers ever since. Moonlocket was nominated for the Books Are My Bag Readers award. The Cogheart Adventures are fantastical action-packed adventures set in an alternative Victorian England. Lily, the fiery and quick-witted daughter of two world famous inventors, Robert, a talented and thoughtful clockmaker's apprentice, and Malkin, a scruffy and opinionated mechanical fox, must use every ounce of their courage and cunning as they face a series of mysterious life-threatening adventures! Peter writes quirky tales about finding your place in the world and what makes you unique. Presented by Authors Abroad, Festival Office 01535 656015, info@childrensliteraturefestival.org.